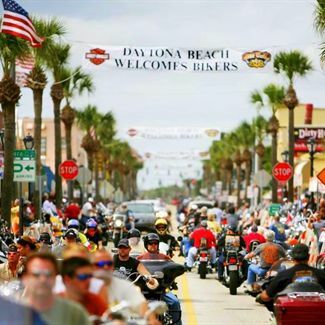 Perhaps one of the most well-known events in the entire state is Bike Week in Daytona. Tens of thousands of bike fans converge on this location to admire bikes of every variety, take part in contests, and check out vendors selling everything for the biker lifestyle. As a guest of the Emerald Shores during Bike Week, you'll enjoy perks like roped-off areas designated especially for bike parking and a special area for washing your bike and getting it polished up to show condition. You'll also benefit from Reserved Parking for trailers in a secured, hassle free lot!